Superior Groundcover is a sand, soil, stone, bark & mulch installation company located in Grand Rapids, MI. 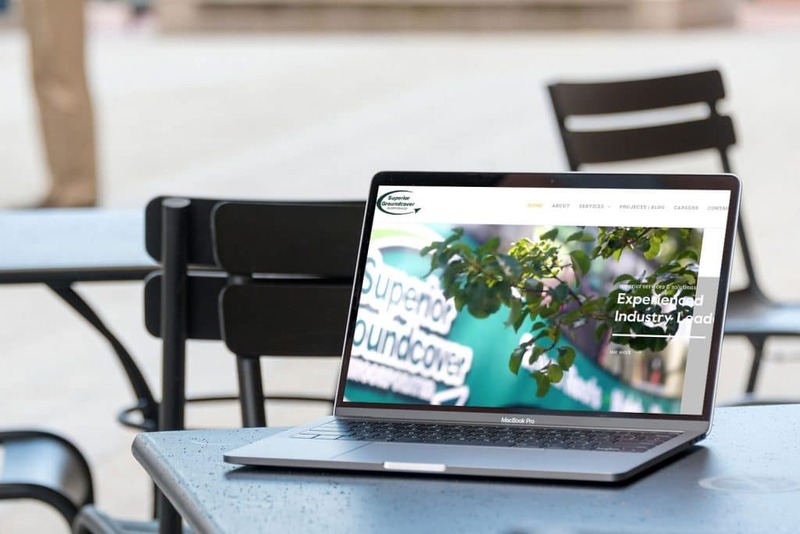 We’ve worked with Superior Groundcover for about a year and a half at the time of writing this post. Northbound Studio provided the beautiful design, photography, and video for the site and our team brought to life with development on WordPress. First, we took a look at why they were getting so many more leads and where they were getting them from. The majority of their leads were coming from organic search, yet, they weren’t showing up on the first page of Google for a lot of relevant services they offer locally. One of the specific service areas that Superior Groundcover was not showing up for and wanted to increase their lead volume for was sand installation service in the West Michigan area. 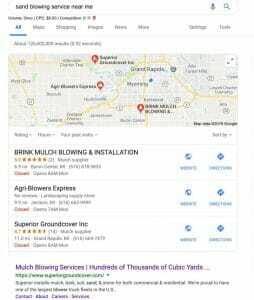 As you can see below, within one month we were able to get Superior into the first position and on Google’s “Map Pack” for sand blowing services in the Grand Rapids area.